In the classic 1988 movie, Big, Tom Hanks plays Josh Baskin, a 12-year old boy whose carnival wish to “be big” turns him into an adult overnight. While initially thrilled at the transformation — no more homework or bedtimes — Josh discovers that being big comes with plenty of problems. As the stresses of adulthood begin to outweigh the benefits, he finds himself longing for a simpler life. At the film’s close, Josh Baskin has wished himself back to boyhood. Fast growth is hard to manage — for children and for manufacturers. It’s easy to pine for it, but unless you’re Anthony Davis, growing too much too fast can actually be your undoing. Don’t wait until it’s too late to put a plan for fast growth in place. Here are three challenges you’ll likely face, as well as some suggestions for how to manage them. Some supply chains aren’t ready to scale. Just ask Target. Don’t wait until you needed your parts yesterday to discover yours is one of them. No matter what it is you manufacture, your suppliers have finite capabilities and capacities, and when demand spikes quickly, you not only have to vet suppliers fast enough to meet it, you also have to solve the difficult and complicated logistical hurdles that result. Set a contingency plan in place that will enable your supply chain to function as though it were infinite. Embrace a digital, distributed manufacturing solution for at least part of your production needs now, so when exponential growth arrives, you’ll already know you can trust it. Technology can be something of a trickster. 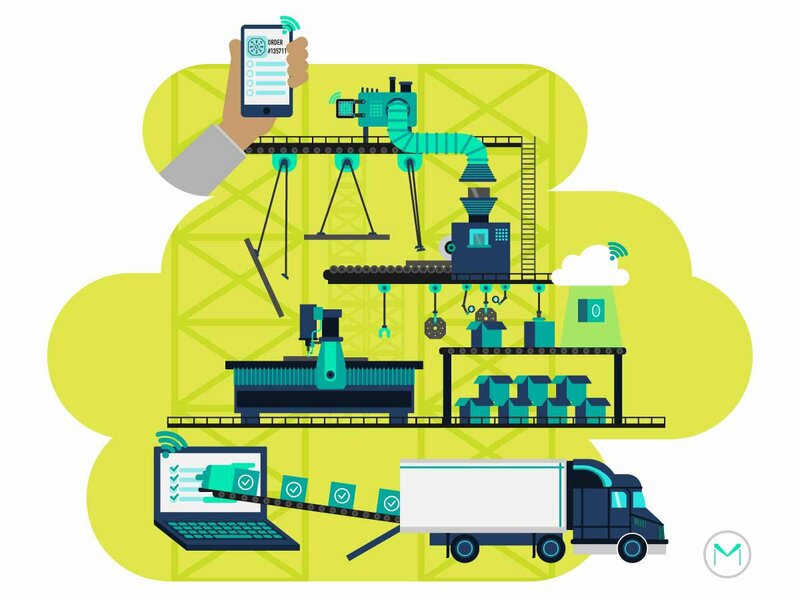 Skyping and sending CAD files to someone halfway around the world can easily lull you into thinking your overseas supply chain is as close as your smartphone. While the wonders of the Digital Age make communication lightning fast, getting your parts from Point A to Point B quickly can only happen when Point A and Point B are close to each other. If you’re forecasting fast growth or, if you’re in the throes of it, it’s time to bring your production onshore. Yes, American suppliers can cost more money, especially when you only consider price per part. Yet, while piece-price is still relevant, it is no longer sufficient as a holistic sourcing strategy. (Try the Reshoring Initiative’s Total Cost of Ownership Estimator to see what the cost of reshoring really is.) What American suppliers will rarely cost you more of, however, is time. When faced with a quick uptick in demand, put your newly embraced digital, distributed supply chain in your backyard. You’ll find your fast growth a lot easier to manage with a production pipeline that’s closer to you and your customers. Of course, technology isn’t just a trickster. It’s also the means by which exponential growthin a short amount of time can actually happen. If you’re still managing your supply chain via RFQs, faxes, phone calls and site visits, you’re not only missing out on the shortest path to pain-free fast growth, you’re also just missing out. Stop wasting time and resources you don’t have, and put your supply chain in the American cloud. From online CNC machining to total project management, an online, digital, scalable and U.S.-based supply chain can be yours. Find out how MakeTime can help you meet your fast growth production needs here.